Tube Elias Chatzouids - you must have a license to use his work. 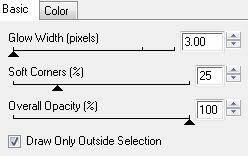 Open template 382 in PSP - press shift+D to duplicate it and close off the original. Delete copyright - dotted line - wordart - wordart back - raster 3 shadow and background. Image - Canvas Size 700x600. I'll be going from bottom to top. 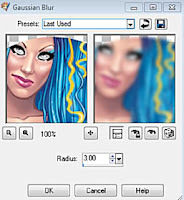 Copy & paste your close up tube as a new layer. Position so that what you want is showing inside the circle. 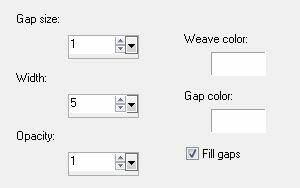 Layers - duplicate. Adjust - blur - Gaussian Blur 3. 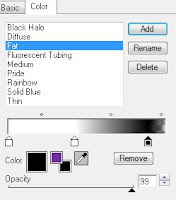 Change the top tube blend mode to Overlay. Effects - Eye Candy 4000 - Gradient Glow same settings as before. Copy & Paste a paper 12 as a new layer. Selections - Invert - press the small delete key on your keyboard. Effects - Gradient glow same settings as before. Delete the original rectangle layer. Selections - Invert - press the small delete key. Effects - Eyecandy Gradient Glow same settings as before. Delete the original square layer. Duplicate the tube - Image mirror & move it so that it sits inside the frame. Merge the 2 tube layers together and then dupliacte again. On the duplicate tube layer change the blend mode to overlay. Click inside the middle pink square. Uniform 50 - Monochrome checked. Copy & paste Bow 1 as a new layer - resize 50% - drop shadow - see tag for placement. Copy & paste Beaded String as a new layer - resize 80% - dropshadow - see tag for placement. Copy and paste Star 2 as a new layer - resize 50% - dropshadow - see tag for placement. Copy & paste Star 1 as a new layer - Mirror - resize 45% - see tag for placement. Adjust - Blur - Gaussian Blur 3. 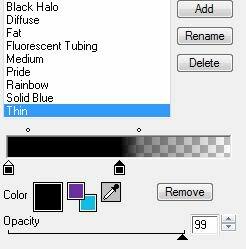 Copy & paste your main tube as a new layer - position where you think it looks best. 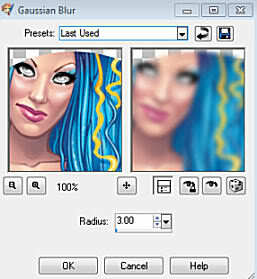 Dublicate - Adjust - Blur - Gaussian Blur 3 - change the blend mode to overlay. Crop your canvas - add copyright and name.